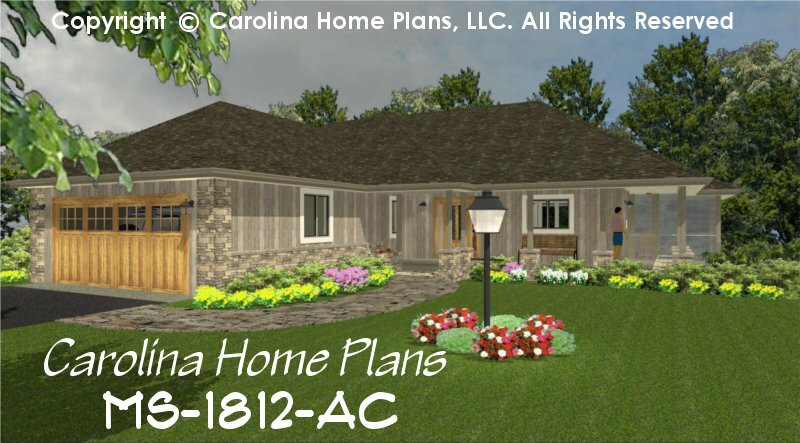 Stone details and classic contemporary lines define this open style, medium-sized, ranch home plan. 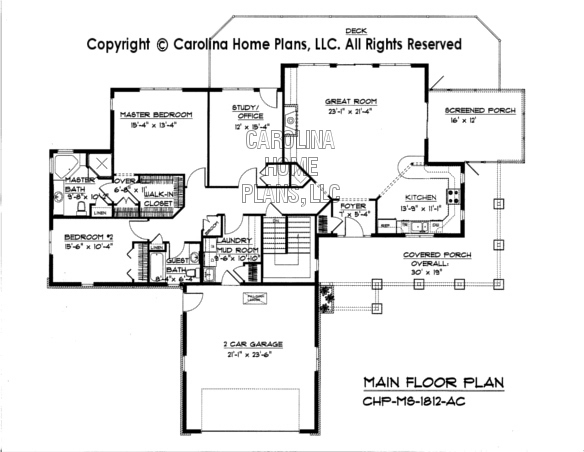 Bring the outdoors in and easy entertaining out with the wrap-around porch, large screened porch and back deck/patio. 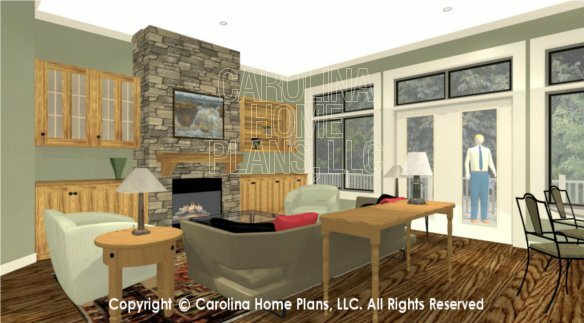 The open great room boasts 10' ceilings with large transom windows and French slider access to the deck (or patio) and screened porch. This 2 bedroom + study, 2 bath, mid-sized open concept house plan suits any lifestyle. A large laundry/mud area is conveniently located off the 2-car garage and stair access to a full basement is centrally located (or large storage/mechanical area for crawl space or slab versions). 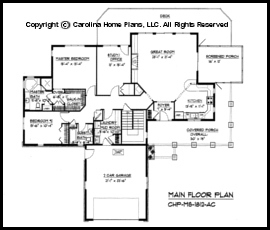 Well suited for retirees or small families, this 1 story, mid-sized open contemporary house plan is an ideal choice. Available options and pricing: See below. 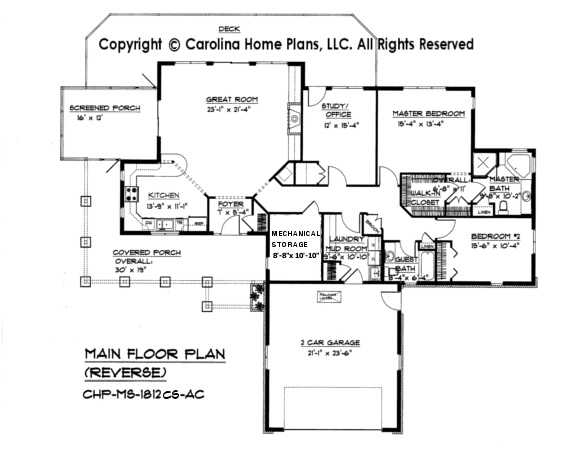 Ceiling Height 8'; Great Rm: 10'-4"